The UNIMAT UT-HZ hot water boiler is a shell boiler in 3-pass technology with two completely separate flame tubes and smoke gas passages. 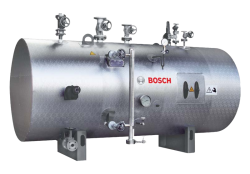 This 2-flame tube/smoke tube boiler has been in use for decades and is built with separate smoke gas passages. 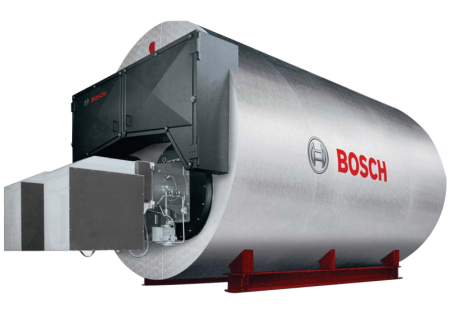 Thus, the boiler is also suitable for operation with only single firing. 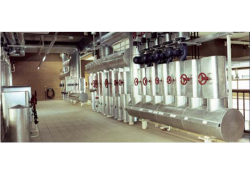 Flue gas heat exchangers can be upplemented in modular design for heat recovery. 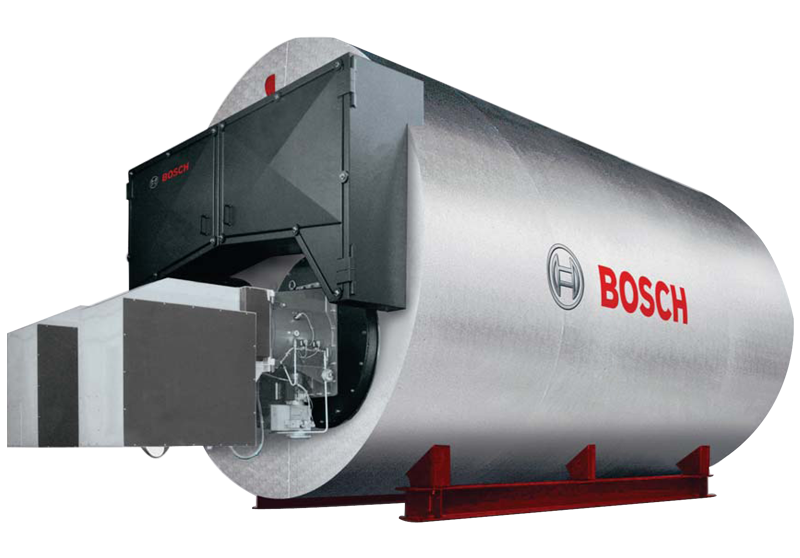 Its suitability for the unrestricted parallel or single operation of its firing units is not only due to the stable separation on the flue gas side. The special design measures for eutralising the tension forces in single-flame operation are critical for permanent stability. The flame tubes are pushed through in the front and rear floors and welded tightly all around. The water-flushed rear smoke gas reversing chamber is separated with a stabilising tube wall, which has water flowing through, and is also anchored to the rear floor. The large pressure relief surfaces together with the reversing chamber ceiling floor anchoring ensure low stress loads. 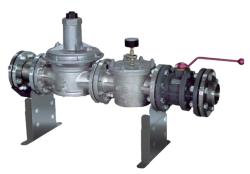 The unrestricted single operation provides high load flexibility. The adjustment range is doubled, unnecessary energy losses can be reduced.